One of the more annoying things about carrying headphones around, regardless of how much we love music, is dealing with all the wires tangling in our pocket. Undoing the wires can take a while and is one of the biggest frustrations all people who listen to music or podcasts regularly might have when using their headphones. This is where wireless headphones make life so much easier. Not only do you not need to worry about the wires getting stuck or wrapped up, but you can literally be on the go, easily controlling things with your fingers or voice. A good wireless headphone that you can use for should have all of the qualities we mentioned above. However, when we are searching for what to buy, it might be difficult to know what is actually worth buying. Therefore, we want to make your work easier by presenting to you the best wireless headphones, specifically for running. These sport wireless earphones feature the latest Bluetooth 4.1 CSR technology and state of the art acoustic components that produce incredible sound quality with deep bass and crystal clear treble. Their active buds feature ergonomically designed flexible ear hooks with gel flex silicone earbuds to ensure your headphones stay comfortably firm in place. The new and improved lithium polymer battery allows seamless enjoyment of music for up to 8 hours and 240 hours stand-by with a quick charge of only 1.5 hours. They also connect seamlessly with all Bluetooth enabled devices up to 30 feet away. Moreover, they have noise suppression technology that focuses on your favorite music and answer calls without skips or missed words. They have bonus accessories with a 1-year manufacturer’s warranty and 30 days no-questions-asked return policy. These wireless earphones feature 8mm speakers combined with Bluetooth 4.1 creating super accurate HD sound with powerful bass. 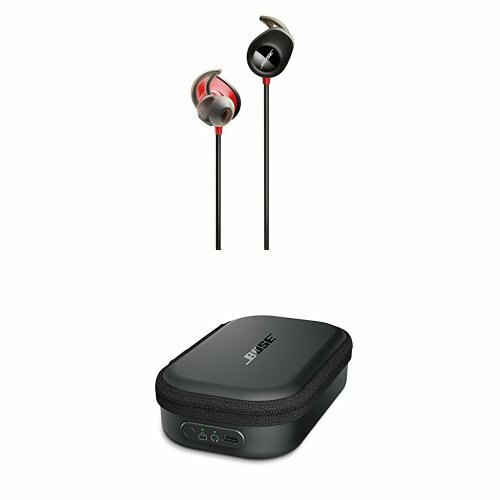 This box contains Phaiser Tecton BHS-730 Bluetooth headphones, carrying case, 3 pairs earphone tips small, medium, large, 3 pairs wing attachments small, medium, large, 2 pairs cable management clip, 2 collar clips charging cable and a user manual. Moreover, the BHS-730 lets you switch between music and calls with the push of a button, and our specially designed mic reduces background noise to make talking easy. You can easily stow your ear buds by wearing them around your neck. You can instantly access your earphones anytime without searching your pockets. 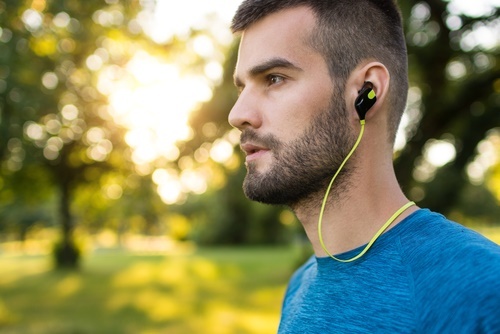 The patented winged earphone tips hold your buds in place during rigorous workouts. Furthermore, it also has over and under ear-fit options. Each Phaiser headset comes with a water resistant nano coating courtesy of Liquipel. These wireless buds feature 10mm speakers combined with Bluetooth 4.1 creating a super accurate HD sound with powerful bass. They have been specially designed to pump out more bass and more volume without distortion. The BHS-530 lets you switch between music and calls with the push of a button. Also, its specially designed mic reduces background noise to make conversing easy even in noisy gyms or out on the street. 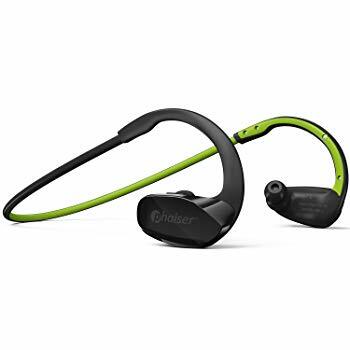 Phaiser Flexcore BHS-530 Bluetooth headphones contain a carrying case, 3 pairs earphone tips – small, medium, large, 1 pair comply T-400 memory tips medium, charging cable and a user manual. The built-in microphone makes it possible to use the headset for calls. Moreover, the headset reads out the caller’s number when a call comes in and the audio you were listening to is silenced. When you hang up audio starts back up automatically. 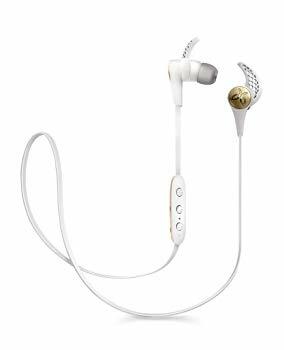 The Mpow IPX7 has water-resistant nano-coating which efficiently protects sports headphones from sweat. It also ensures a more guaranteed lifespan, perfect for running, jogging, hiking, yoga, exercises, gym, fitness, traveling and etc. Thanks to the tuned driver, CSR chip and Bluetooth 4.1, you can get superb bass sound, as well as richer and crisp sound with Mpow earbuds at the furthest degree. 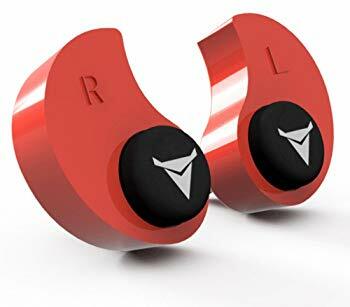 They come with a pair of memory-foam ear tips (adapt to the ear canal to provide a perfect seal and snug fit to help keep your earbuds in place). They are suitable for normal size ears. Moreover, their improved lithium polymer battery brings up to 7-9 hours pleasure musically and socially with a quick charge of only 1.5 hours. Every Mpow product includes a 45 days money back and 18-month warranty. These headphones have superior sound quality with aptX high-resolution music and CVC noise cancellation technology for clear phone calls. They have customizable ear tips for the perfect everyday fit and additional ear wings to keep your headphones in place. Furthermore, memory foam tips provide total isolation from external noise. It is fully charged in just 1.5 hours and up to 14 hours of talk time with 12.5 hours of music time. You’ll need to recharge before your headphones do. A 10-minute charge keeps you going for one hour. It will also effortlessly skip songs or answer a call using the 3-button remote with built-in microphone. These wireless headphones come with a built-in heart rate sensor which makes it easy to track your performance. It has a Bluetooth and NFC pairing so you can connect to your devices wirelessly. 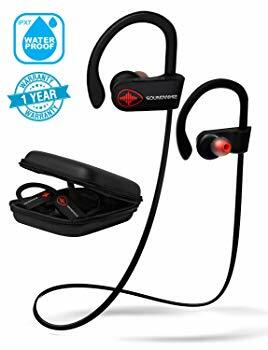 Its StayHear and pulse tips provide a secure and stable fit for your most intense workouts. 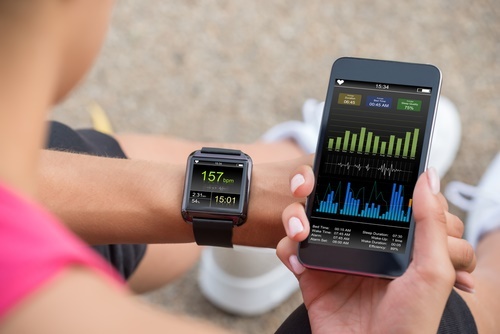 Moreover, the Bose connect app gives you real-time heart rate readings, and continually adds more functionality to your headphones. You just need 5 hours of wireless power from the rechargeable lithium-ion battery. The micro USB is for charging sound sports wireless or sound sports pulse wireless headphones on the go. Its built-in rechargeable battery extends listening time up to 18 hours. These headphones have a compact, durable case which protects your headphones as they charge. Furthermore, a quick 15-minute charge gives you up to 1 hour of play time. Its wireless range is up to 30 feet. These wireless headphones are smaller than ever, the X3 has a longer battery life, better sound, and a more secure fit. The in-ear speaker design has been significantly reduced by 20% and houses an enhanced 6mm driver for subtle lows and a booming bass. Moreover, the smaller frame is more convenient to handle and offers a comfortable fit for different ear sizes. The frame is made from sandblasted, injection-molded metal. This makes them heavily durable. Additionally, the hydrophobic nano-coating makes the whole ear bud waterproof, preventing sweat, snow, and rain from affecting your soundtrip. Furthermore, the MySound app allows you to customize every aspect of your sound from the rumbling lows to the sweetest high. It is compatible with iOS 9+ and Android 4.4+ and you’re customized presets save directly onto the X3 buds carrying them over to any music device. It also has an 8 hour battery life. These wireless headphones have powerful audio that lets you clearly hear your music while its safety-oriented design lets you hear your surroundings. The reversible armband secures your smartphone while you’re moving. They also have a rugged water-resistant and sweat-proof design with P2i coating that won’t let you down. Its Neoprene armband secures your smartphone and reverses to store headphones. Its safety-oriented ear tip design and reflective finishes let you hear your surrounding. Moreover, its flexible design fits comfortably and stays put for all levels of exercise. It has powerful speakers and custom codec deliver heart-pumping bass. These earplugs are easily and quickly fitted to the exact shape of your ear. This creates a perfect fitting earplug that will never hurt, never fall out and provide superior noise isolation. Moreover, if you don’t get the perfect fit the first time Decibullz are the only custom earplugs that are re-moldable. Decibullz earplugs are also perfect for shooting, traveling, working, loud concerts and safety. They come in two Decibullz thermoplastic custom molds, three sets of triple flange tips S, M, L, one set of max protect medium foam tips and an earplug carrying pouch with Decibullz logo. These running headphones take your fitness to the next level. You can feel the beats with massive 10mm dynamic drivers delivering crystal clear HD sound. Moreover, the headphones have a powerful bass with well-balanced mids and trebles and outstanding volume. 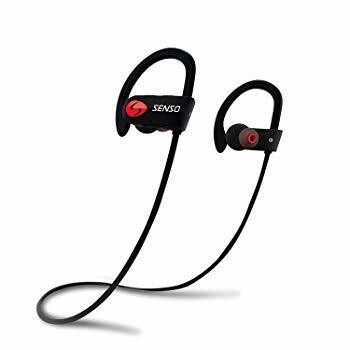 The sound whiz turbo Bluetooth running earbuds are designed for superior comfort and in-ear stability, perfect for extended wear. They are totally sweatproof, with lifetime protection against water. Moreover, its massive 100mah battery delivers up to 8 hours of play time and you enjoy a whole week of workouts on a single charge (charges in just 2 hours). The built-in noise-canceling microphone and dual pairing give the turbo the versatility to run a full day’s music at the office too. It also comes with a 30-day refund policy and 12-month express replacement warranty. On the outside looking in, Bluetooth wireless headphones might seem like the obvious choice to go with. 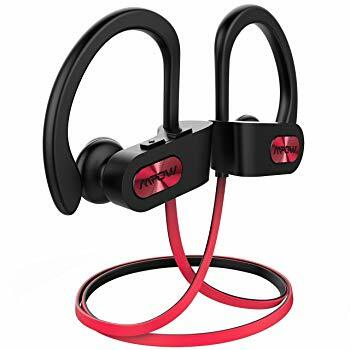 But before finalizing your decision and examining all the key considerations, look at the pros and cons that come with having this type of headphones, especially for running. Even though it is more convenient, there are disadvantages to having a wireless headphone. Pros: Just as we continuously describe above, the biggest pro for having wireless headphones is that they are simply wireless. There are no wires getting in the way of our run or walk. This means things are a lot cleaner and minimal. Furthermore, there is no need to have to untangle knots that might come from putting them into our pockets. Also, you cannot get them caught by a hook. Additionally, wireless headphones are easier to take on the go because they do not come with a wire. You can easily slide them in your ear or put them on. Moreover, if you have voice control or touch control, it is easier to change your tracks or adjust the volume, rather than having to always take out your phone or computer to do so. Cons: The biggest flaw is battery life. Since they are wireless, this means they need to be charged as well. Therefore, even though they are more portable and readier to take on the go, they also cannot be inconvenient in the sense that you need to worry about how much you use them. Additionally, if you have wireless headphones that are smaller, it can be easier to lose them. On top of that, since they require connecting to Bluetooth, the sound quality may not be as great as wired headphones. Purchasing a new pair of wireless Bluetooth headphones will definitely help to keep things a bit tidier since you have fewer wires to worry about. However, there are some things you should consider when buying these types of headphones. The following are some factors to keep in mind. Usage – Before jumping into the process of buying headphones, you should first think very carefully about what you will be using the headphones for. Everybody has their reasons, and this will greatly affect the type of headphones you should consider. For example, if you are the type of person to listen to music constantly, and will be taking them out everywhere you go, then focusing on qualities of sound and portability might be important. However, if you only use them when sitting down and working, this might not be so vital. Also, if will be doing a lot of things like talking to them, listening to music and movies, the battery life may drain faster. Type of headphone – There are three main types of headphones: in-ear, on-ear, and over-ear. Just as the names imply, the main differences are sizes, drive force, and how they fit onto the ear. While over-ear and on-ear may be more powerful in terms of sound, they may run out of battery faster. Furthermore, going back to the earlier point of usage, depending on how you choose to listen to your music, you should really consider what type fits for you. The best for convenience and portability would obviously be in-ear headphones. However, for unmatched quality in sound, over-ear reigns supreme. Battery life – This is one of the most important factors to consider when buying a Bluetooth headphone since this is what makes or breaks a good one from a bad. The whole point of switching from a wired headphone to a wireless is the convenience factor. But a lot of people, despite knowing this, choose not to go wireless because of the fact that the headphones have a set time limit for them – a battery life. Thus, if you are going to get one, make sure that it actually goes as long as it advertises. There a lot of companies that claim to go for 24 hours or more, and yet, this is only if you use it mildly. Compare your usage with its overall battery life and see whether its right for you. Wire possibility – Even though your main focus is to get headphones that are wireless, it never hurts to have the option of being wired. There are a lot of wireless headphones these days that come with extra cords, and the option to connect a wire to it. This is beneficial when you take your headphones out on a long trip. Since Bluetooth wireless headphones depend on the battery, this can be quite inconvenient if you are a constant user. Therefore, having that option to go wired (in the case that your headphones run out and you cannot charge it immediately) will definitely be useful. Microphone availability – Headphones shouldn’t only be for listening. A lot of people love to use them for speaking as well, especially if they are getting wireless headphones for the ease of picking up calls etc. Thus, consider a Bluetooth wireless headphone that has a microphone to it. The lack of cords and the convenient hands-free capability will make talking on the phone easier than ever before. Sound quality – Bluetooth wireless headphones are definitely more convenient. However, the reason why so many choose to go wired instead is that many users say that the sound quality for wireless headphones is not up to par. Perhaps this has something to do with the fact that they are transmitting sound through Bluetooth or the output strength of the headphone themselves. Whatever the case is, make sure to look into the sound quality making that purchase. Usability – Besides convenience, another thing that makes a great wireless headphone is its usability. As a user, you want to be able to switch tracks, turn on and off, and adjust the volume without having to always open up your device. Navigation should be easy to access and remember. Any Bluetooth headphone that requires you to search for the button or constantly take them off to check is not one that you want to have. Charging port – Since you are going to have to charge a wireless headphone, make sure that it is charged through the USB port. This is because it is the most accessible port that you can find anywhere. Anything that is specifically proprietary or ‘unique’ (for example, a specific wall charger) will make this gadget hard to charge when you are on the go. Impedance – This is what determines how well a pair of headphones work. You can usually see this on the back of the box. The lower the impedance, the less power required. This is important for Bluetooth wireless headphones because, the lower the number, the easier it is it with other devices. 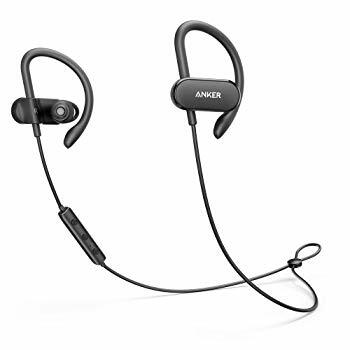 Noise cancellation – When you are using these for running, noise cancellation is something that is really important, since you will most likely be in the gym or outside. 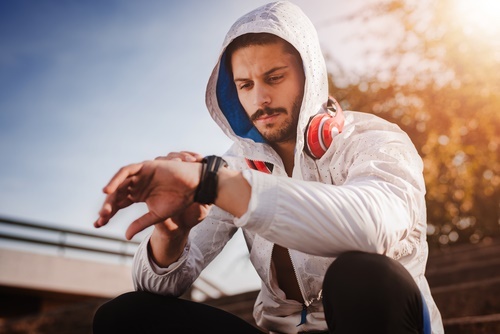 It could get very distracting for the loud sounds of other people working out, treadmill, or even cars getting in the way of your music listening experience. Therefore, make sure that the headphones you get have noise cancellation capability. However, on the other side of the spectrum, make sure that you pay attention to your surroundings as well. 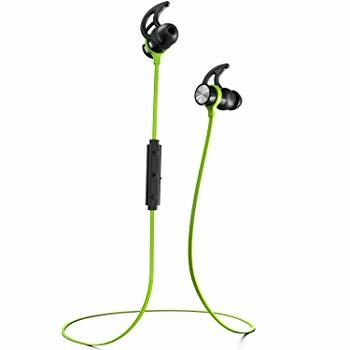 Water/sweatproof – If you are using these headphones when running, sweat is to be expected. So, you want to make sure that these headphones are water and sweat proof. It would be terrible to get a product, only for it to stop working after a few uses. 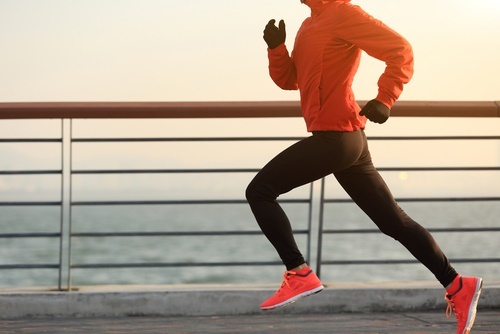 Sturdiness and comfort – In the context of this article, using wireless headphones for running means you want to get something that will stay in your ears or on your head. Thus, make sure that the material and overall fit is comfortable. The last thing you want is to be constantly adjusting the headphones as you bop up and down the street. Furthermore, they should wrap nicely around your head or ears. Bluetooth connectivity – To be honest, this might seem a little bit obvious and surprising, but more than anything, make sure your device (Ipod, tablet, computer) all have Bluetooth connectivity. While most devices these days all do, it is always best to check beforehand. Otherwise, the new wireless headphones may be of no use to you. Range – Usually, most wireless headphones all have similar range. This refers to how far away you can get from the connected device before it turns off. While this isn’t the most important quality, it might be nice to have something that has a wider range if you are using it to connect to your computer or phone. This would mean you don’t need to stick so close to that device to listen to what you want. Voice control – Slightly related to microphone availability, having voice control can make things two times more convenient. This functionality allows you to control the volume, play/pause, as well as track changing all with your voice. In the end, whether you are in the gym or out jogging or running, having a good set of wireless headphones can be very liberating. We understand there are a lot of great products on the market today. This will only happen more and more as time goes by since technology’s advancement is helping companies come out with great products. In the same way, there are a lot of crappy products as well. For this reason, we list out some suggestions above. 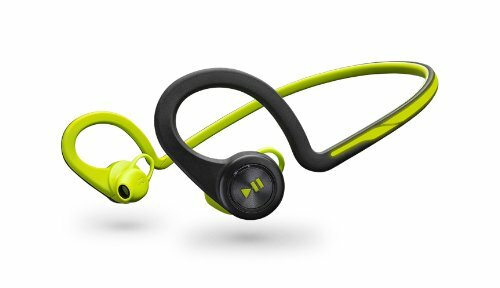 Therefore, to get the right fit for running, choose the headphones that have all the key considerations we mentioned above.